​Clemence is a director, composer and sound designer for theatre and opera. Since graduating from NIDA, Clemence has directed, composed and designed sound for both independent and main stages in Sydney, Melbourne, Adelaide, St Petersburg and Edinburgh. In 2019, Clemence directs CHORUS for Redline Productions at the Old Fitz; assistant directs the opera LA PASSION DE SIMONE with Sydney Chamber Opera for Sydney Festival; and directs CHAMBER POT OPERA at Sydney Opera House. She is composer and sound designer for: ARBUS AND WEST directed by Sarah Goodes and HEISENBERG directed by Tom Healy for Melbourne Theatre Company; BANGING DENMARK directed by Jessica Arthur for Sydney Theatre Company; A VIEW FROM THE BRIDGE at Ensemble Theatre; and THE WOLVES at Belvoir. Clemence received 2018 Sydney Theatre Award nominations for both Best Original Score for A CHEERY SOUL (Sydney Theatre Company), and Best Sound Design of an Independent Production for THE WOLVES (Redline Productions). 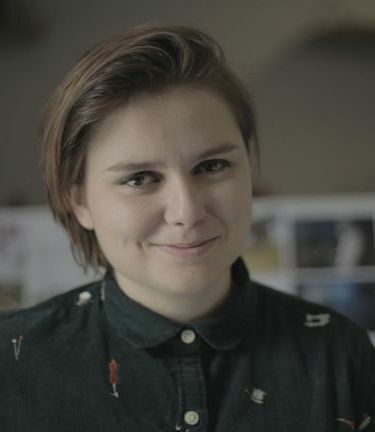 As a director, Clemence’s work includes: FINDR, a new musical which premiered at Eternity Theatre in 2018; CHAMBER POT OPERA (creator, sold out seasons in Sydney, Adelaide, Edinburgh Fringe; and St Petersburg’s Summer Festival of Arts, Access Point, one of the largest site-specific art events in Europe); UNFINISHED WORKS (Seymour Centre); THE CHERRY ORCHARD (New Theatre); and TRANSIENCE (KXT). Clemence was assistant director to Imara Savage on ST JOAN with Sydney Theatre Company; and was assistant director to Patrick Nolan on NOTES FROM THE UNDERGROUND with Sydney Chamber Opera. As composer and sound designer, Clemence’s work includes: A CHEERY SOUL composer, LETHAL INDIFFERENCE (Sydney Theatre Company); ROMEO AND JULIET (Bell Shakespeare); THE WOLVES, A VIEW FROM A BRIDGE, WIND IN THE UNDERGROUND, PAPER DOLL (Redline Productions); CHAPEL PERILOUS (New Theatre); LITTLE BORDERS (Old 505); A GIRL IS A HALF-FORMED THING (KXT); FALLEN (fortyfivedownstairs); and BLUEBERRY PLAY (Griffin’s Batch Festival). Clemence holds a Master of Fine Arts (directing) at the National Institute of Dramatic Art (NIDA) and a Bachelor of Music from the Sydney Conservatorium, majoring in classical voice. While she was studying, Clemence directed/wrote/performed/composed for over thirty productions. Highlights include: directing Brecht’s THE THREEPENNY OPERA at PACT; co-directing (with Ben Sheen) Martin Crimp’s ATTEMPTS ON HER LIFE; and directing Ionesco’s THE CHAIRS for Sydney Fringe Festival. She was Director of Verge, Australia’s largest student-run arts festival. Clemence regularly develops and stages readings of new work, including: Neil Levi’s KIN at Sydney Theatre Company for the Patrick White Award; Tee O’Neil’s GR8 SKIN at Festival Fetale; and Tasnim Hossain’s 44 HOMES at Australian Theatre for Young People. Clemence is currently developing two new operas.